The Padmaja Naidu Himalayan Zoological Park (PNHZP), better known as Darjeeling zoo, will soon welcome to its family a male snow leopard from the United Kingdom. The aim is to infuse a fresh bloodline in the shy and elusive carnivores at the zoo. 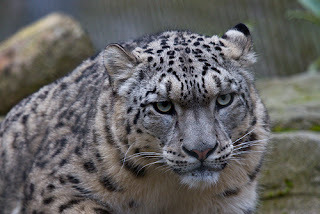 In February of this year, the Darjeeling zoo had requisitioned for two male snow leopards to the Central Zoo Authority (CZA) as the existing ratio of one male to eight females was turning to be a cause of concern for restocking and strengthening the population of the species. “An adult male snow leopard will reach Kolkata tomorrow from Dudley Zoo of the UK. It is part of our exchange programme as we had applied for the animal this year in February. With this acquisition, we hope to infuse fresh blood in the species at the zoo,” said Piar Chand, PNHZP director over the phone from Kolkata. The two and a-half year-old adult male snow leopard is being brought from the UK in an Emirates flight that will land at Kolkata airport at 8.20am on Friday morning. Named Makalu, the snow leopard will be transported to Darjeeling by road in a Columbia Asia ambulance and will arrive at the zoo on June 25. “We will be transporting the snow leopard by road as domestic carriers don’t carry wild animals,” said Upasana Rai, the zoo’s scientific research officer, who is also in Kolkata. A veterinary and a compounder and the zoo estate officer are also in Kolkata to receive the animal and bring it safely up to the hills. Makalu, who is expected to be rechristened after he has been here for a while, will be kept at the zoo’s quarantine facility for a month before being assimilated into the breeding programme and kept in the open for visitors. “We first need to acclimatise the animal to his new environment, which is one of the important aspects of ensuring mortality in our breeding programme,” Rai said. Subash, the only male snow leopard at the PNHZP, is 13 years and fast reaching the saturation point of reproduction value, she added. Over the years, Darjeeling zoo has successfully implemented the conservation and breeding programme of the snow leopard in captivity. It was started in 1983 and bore fruit in 1986 with the birth of a cub. After the success, Darjeeling zoo has gifted snow leopards to other participating zoos in Nainital, Shimla and Sikkim over the years. The PNHZP will acquire another adult male from Mulhouse zoo of France and the animal is expected to be brought to Darjeeling this September. Necessary clearance from the Directorate General of Foreign Trade (DGFT) is awaited, informed a zoo source.